- How do I order with babybuds? - How safe are my credit card details if I pay online? - Are babybuds products inclusive of GST? - Will you keep my information private? - How big are the sizes in your baby clothing range? 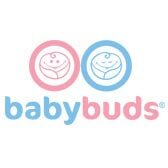 - What is babybuds association with other websites that show as a link? - I want to change my order, what do I do? - What is the product I order is faulty or I am not happy? - Can I use the babybuds name? - What sort of warranty does babybuds provide? How do I place an order with babybuds? How safe are my credit card details if I pay online? Shopping online with babybuds is as safe, if not safer, than shopping in an actual store. 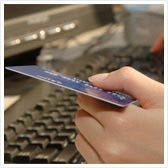 This site uses a payment gateway service and Secure Sockets Layer (SSL) technology, the latest industry standard encryption, to protect you against any loss, misuse or alteration of your credit card information. Are all babybuds products inclusive of GST? Yes, all prices quoted are in Australian Dollars and include GST. At babybuds your privacy is our priority. Babybuds will not release any personal information of our customers to persons or entities outside our organization without your consent unless required by law or unless to an outsourced contractor for internal functions. We do not sell or rent any customer lists. How big are the sizes in your baby clothing range? Our clothing sizes are very generous, as shown in the chart below. Our singlets are longer to fit a fast growing baby and our jumpsuits have turncuff feet so the baby's feet can fit through for a little extra wear. Mums who receive our gifts often say our clothes are cut well and fit better and their baby is still wearing our clothes when they are one year old. What is babybuds association with other websites that show as a link? I want to change my order, what do I do? Babybuds have a very efficient dispatch service which means that goods can be dispatched within half an hour of placing the order in some circumstances. Our ability to change the order will depend on how quickly it was dispatched and whether we can intercept the delivery. Full delivery information is available on our delivery page. What if the product I order is faulty or I am not happy? Babybuds are proud of the products we provide and will happily exchange, refund or replace any item that it is faulty or you are unhappy with. Provided that the item is in original condition/packaging/unused and returned to us within 30 days from date of purchase we are happy to exchange, refund or replace. No questions asked, no hassles. Please call us on 1300 550 724 to discuss your needs if this occurs. Can I use the babybuds name? You may not adapt, reproduce, store, distribute, transmit, print, display, perform, publish or create derivative works from any part of this website without first obtaining the written permission of babybuds. The trade mark(s) and other babybuds products and services referred to in this website are owned/licensed by babybuds and will be immediately enforced should any attempt be made to copy our products, reproduce our trademarks or in any way breach our legal rights over our intellectual property. Nothing contained in the website should be construed as granting any licence or right of use of any trademark or part of any trade mark displayed on the website without the express written permission of babybuds or third party owner. What sort of warranty does babybuds provide? Babybuds does not warrant that a particular product is available or suitable for your purposes. When necessary, due to limited availability of products from suppliers, babybuds has the right to make substitutions of products with equal or greater value. Photos depicted are a guideline only. Designs and colours may vary depending on the season and will often look different on different computers. babybuds does not warrant that your access to the network or the information contained will remain error free, or that the network or the server which stores and delivers the website and its contents to you will remain free of viruses or other harmful components. By accessing the website you agree that babybuds will not be liable as a result of any error, virus or other harmful component.